In order to be compliant with FTC regulations, you need to add an affiliate disclosure to the top of a blog post if it contains affiliate links. Specifically, the FTC says that affiliate disclosures need to be placed before the affiliate links. They also need to be clear and conspicuous. 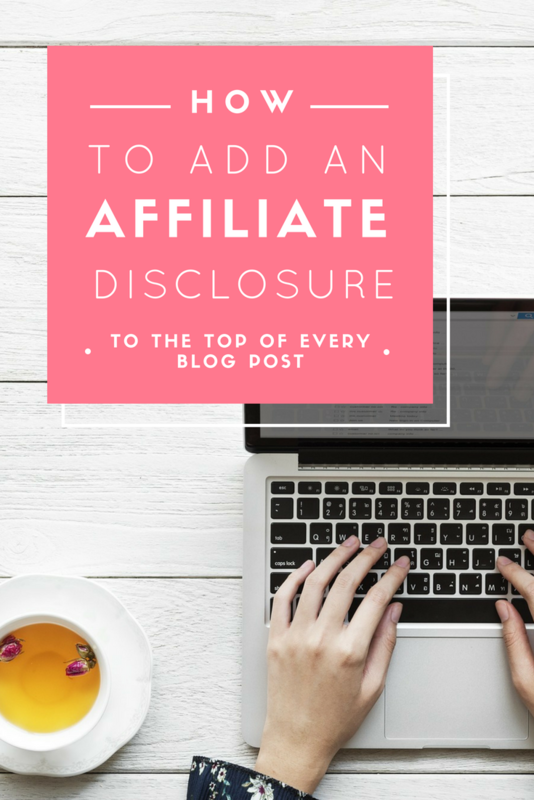 I have used two methods to add an affiliate disclosure to my blog, and each has it’s own merits. Note, I’m no legal expert and this post may not cover everything you’ll need to be in compliance. Read the FTC’s guidelines on affiliate marketing specifically here. This method is the simplest of the two methods to add an affiliate disclosure to the top of a blog post. I started with an icon from https://smashicons.com/. In PicMonkey, my favorite online photo editor, I created an image with the icon on the left. Then I added a text block and pasted in my disclosure next to it. Initially, I inserted that image into the very top of every blog post. This did get to be tedious, though, and it was forever throwing off my Yoast SEO plugin. This method is a little more complicated to set up, but the results are by far better. For this method, I use a combination of a little html code and css styling. If you’re not familiar with how to work with either one of those, don’t panic! I have copy and paste magic just for you. *Copy and paste as plain text. I wanted to use css to style the disclosure, so I added this to my stylesheet. The best way to do this in WordPress is to select “Appearance > Edit CSS” in your WordPress menu. This prevents it from being erased if you update your theme later. I ended up adding a couple more <div></div> tags to my disclosure code and additional styling rules to my css snippet, but these mostly just helped me further customize alignment. If you want to see more ways to customize your own css code, I’d recommend checking out W3Schools. If you don’t use affiliate links or sponsored content often, you may not need to add an affiliate disclosure to the top of every blog post. However, I’m a big supporter of monetizing your blog with affiliate marketing. If you need to add an affiliate disclosure to all of your posts, that can be done automatically with the help of a plugin. This assumes that you’re on a self-hosted WordPress site. I was already using an advertising plugin to manage my advertisements, so I adapted it suit my needs. Using AdRotate, I created an advertisement. Here is where I pasted the code I created for my disclosure. Then I created a Group. In AdRotate, Groups allow you to set where you’d like your disclosure to be displayed. Options include before post content, after post content, or within the content. Being able to include/exclude specific post categories also helps me make sure no other ads are displayed in my Sponsored posts, often a contractual obligation when working with brands. To add an affiliate disclosure to every blog post, I simply set up a Group to display above the content of every post. 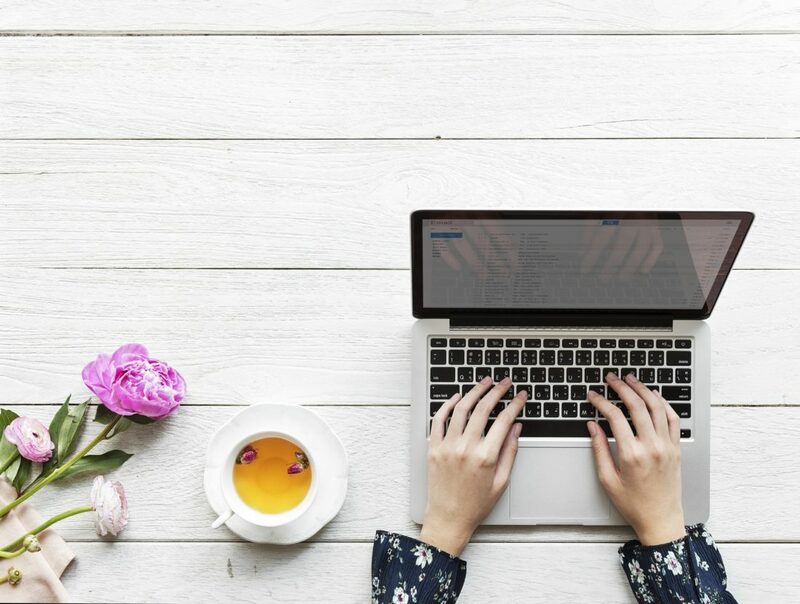 If you’re publishing sponsored or affiliate content often, one of these methods will definitely help you add an affiliate disclosure to the top of your blog posts. Feel free to ask any questions in the comments below—or drop a link to a blog post of yours so we can see what your custom disclosure looks like!